Lean is the world’s most successful continuous improvement method. Agile is a way to get projects done faster, more flexibly and in a cross-functional manner. Use Lean techniques to identify value, eliminate waste, and create flow. Use Agile methods for collaboration, customer focus, and faster/flexible delivery with lower risk. Together they are explosively successful in getting change designed, built and deployed. Bevington Group has the region’s most successfully combined Lean/Agile practice which covers a spectrum of services from building specific solutions (e.g. new processes, structures or policies) through to a programmatic approach to building lean or agile competencies in your organisation. The approach often combines training for staff and deep Bevington design competencies. Finally, Bevington Group has developed a range of Lean and Agile training courses. These training programs can be provided to your teams as part of a larger consulting engagement, or as stand-alone courses to satisfy general Learning & Development needs. From time to time, we also offer public entry training courses for individuals wishing to gain skills and accreditation in core improvement approaches for their own reasons. It is worth contacting us directly if you are interested in this avenue. Each of our core programs is multi-layered, based on increasing levels of knowledge and skills attainment. Most offer formal accreditation based on the level of demonstrated competency achieved. Further details regarding the Bevington Group training programs are outlined below. Here we teach you the basics of Lean in non-manufacturing contexts, such as service industries and in the office. We also introduce the easy to understand Bevington 5-Step Lean process to ensure you are equipped to begin practicing Lean in your workplace. 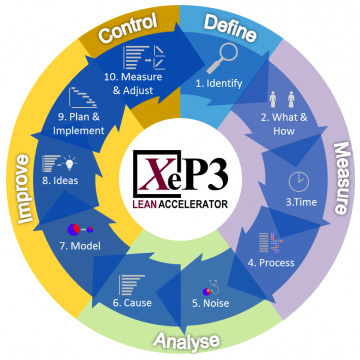 • Ability to support 5 step Lean projects as a team member. Having attended and passed the Bronze phase, or perhaps with recognition of your prior learning, you are now ready to learn about the integration of management techniques with Lean principles, to practice Lean on a broader scale within the organisation. You will be recognised as a fully competent and experienced Lean Practitioner at the Silver Level. Demonstration of your competence will be necessary to gain accreditation, and you may undertake a project as part of your assessment. • Ability to lead 5-Step Lean projects and mentor team members. As a Gold level practitioner you will have demonstrated outstanding management and leadership skills, which are necessary to inspire and facilitate organisational transformation. As well as your knowledge of Lean, you will attend the Operational Excellence course to integrate and consolidate your management skills with your process improvement methodology and understanding. • Demonstrated ability to lead, guide and mentor across multiple projects. • Ability to lead transformational lean programs. 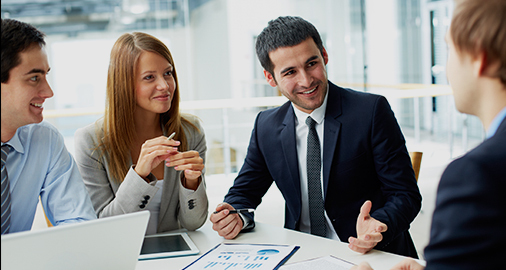 We offer our programs either at Bevington Group or on-site for client teams. Operational excellence training is a focused and dynamic leadership development program, usually in support of major organisational change. It is frequently requested when organisations need their leadership to have a consistent understanding of purpose, and a shared and effective means to develop and/or achieve improvement strategies. The program is offered as a stand-alone event, or in tandem with Lean Training, Process Reengineering and/or Restructuring projects. The program is highly flexible, being modular and configurable, and encompasses the major productivity philosophies, staff motivations, measurement and advanced change management theories and practices in use today. Practitioners are trained in the Bevington Xep3 methods and supporting software, from program design through data collection and analysis to implementation. This sophisticated toolset is only offered as part of a process improvement / reengineering, system specification or business operating model design project. Bevington Group offers hands-on training in organisational restructuring using its business operating model design program and its XeP3 SMART restructuring toolsets. This advanced toolset is only offered as part of a business operating model design and/or role redesign project. In addition to the methodology-based programs outlined above, as skilled facilitators of change management and business process improvement, we also offer our clients customised workshops and seminars. We can also provide team building workshops using the Myers Briggs Type Indicator through our on staff Accredited MBTI™ Facilitator.